Rachel Shuck is a board certified nutrition coach with a passion for running and all things fitness. She currently teaches nutrition courses at the local college while pursuing her doctorate in clinical nutrition . She is certified with the International Sports Science Association and the U.S. Track and Field and Cross Country Association as well. Her personal journey began with running 5k’s and being at the back of the pack, to running marathons and becoming a Boston Qualifier. Along her decade long path of coaching runners she found a true passion for teaching people proper nutrition to fuel for optimal performance. 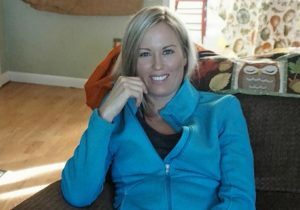 Rachel’s articles and videos have been featured in Mind Body Green, Personal Growth, and the Livestrong website as well as local news shows covering health and fitness. It’s no secret – a healthy body is a happy body. Taking care of yourself is one of the most important things you can do. Not only will you feel great, you will look great and inspire others to take care of themselves in the process. As a mother of two teenagers, I know how important eating right and exercising are for not just you, but the whole family. We have the power to influence the health and well-being of our loved ones and create a healthy lifestyle for future generations. I have experience teaching nutrition classes, group exercise classes and coaching runners. I coach people on how to achieve a healthy lifestyle, which includes learning to eat right for life and developing the proper mindset to want to do that. Long term success is the ultimate goal. Hiring a coach or trainer can strengthen your health, take your athletic performance to the next level, guide you in making the correct food choices, and improve your confidence and outlook on life. As a board certified nutritional coach, I’m knowledgeable in how food affects your performance, So if you want to live a stronger and more confident life, I’ve got the training and the expertise to help you every step of the way.